Warner Brothers confirmed today in a highly anticipated announcement that Anne Hathaway is set to slip on a catsuit to play Selina Kyle's alter ego in the upcoming Batman sequel, The Dark Knight Rises. The film's director, Christopher Nolan, said in a statement, "I am thrilled to have the opportunity to work with Anne Hathaway, who will be a fantastic addition to our ensemble as we complete our story." The movie is scheduled for release on July 20, 2012, and I will definitely be first in line to witness Catwoman's return to the big screen! 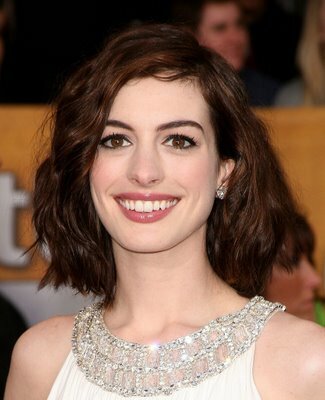 I like Anne..and I want to see how she does.